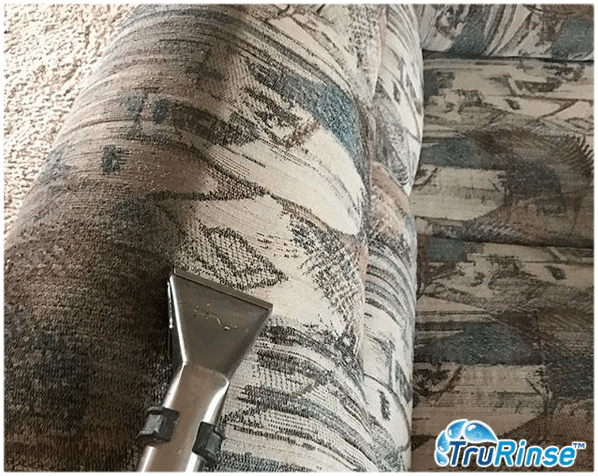 TruRinse Also Provides Exceptional Upholstery Steam Cleaning Services! 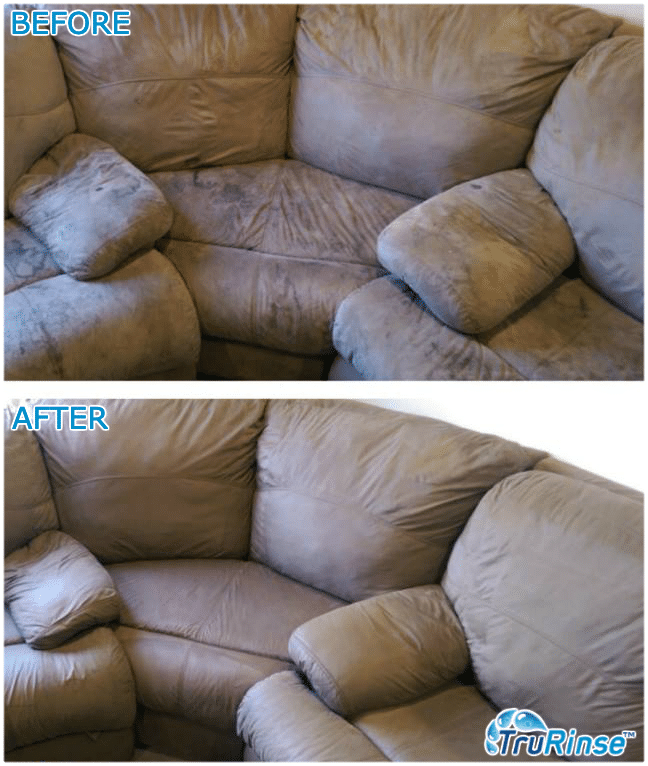 Our upholstery cleaner service can make a huge difference in the look and feel of your home. TruRinse uses the best in non-chemical solutions and revolutionary tools, leaving behind no residue to attract dirt and spills. Just like carpets and rugs, upholstery must be cared for on a regular basis, in order to avoid permanent staining and damage. Grease, oil and dirt tend to soil your upholstery and break down the fibers, causing premature wear. Professional Upholstery cleaning will help prolong the life and beauty of your furniture for years to come. We’ve had customers who were ready to replace their furniture, but instead they called TruRinse, and now they say it looks new again! We clean everything from sofas, love seats, chairs and sectionals to dining and office chairs. Fiber protectant can be applied after cleaning to keep the furniture looking fresh and clean for a long time, extending the life of your investment even further. The process of DIY upholstery cleaning is time-consuming and requires lots of elbow grease, but consumers are often tempted to try it themselves. However, with the proper products and tools, our expert technicians can truly make your furniture look new again – unlike what the average homeowner can accomplish. The process still takes a while, but the results are truly amazing! Let our friendly technicians give your upholstered furniture a face lift today!